Mobile World Congress We can understand Asian companies nicking paying homage to Western smartphone designs, but why risk demo'ing them just a few minutes' walk from the original manufacturer's booth? Enter Chinese handset maker Sim Tecnology, which at Mobile World Congress this week showed off its N8 Windows Mobile smartphone - a short distance away from Palm's booth, bedecked in Treo 500s and Centros, to which the N8 bears an uncanny resemblance. 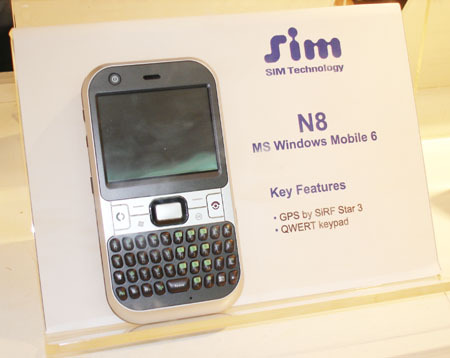 ...and Sim Technologies' N8... or should that be the other way round? Palm need not worry, since the N8 is roughly 25 per cent bigger than the Treo 500, despite offering an almost identical feature set. 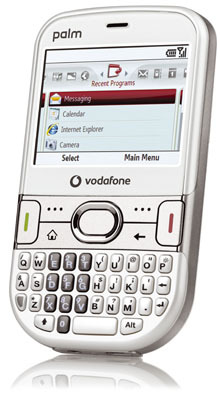 Still, Sim has gone further than Palm, equipping its imitation sincere flattery not only with a built-in GPS receiver but also a Qwerty keyboard.